Jantastic debuted in 2015 and never before had so much talent been on the bank track in one incredible weekend. 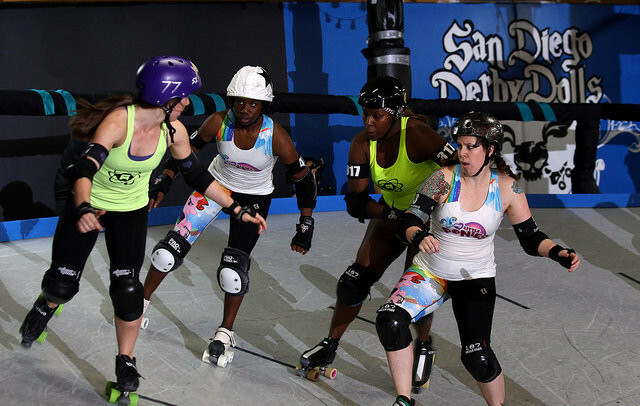 We sent some of the San Diego Derby Dolls to the RDCL tryouts for Jantastic 2016 and we would like to congratulate Slamurai, Brazen Bull and Hartlyn! for making the RDCL team! This will be Hartlyn’s first year playing and when asked what made her want to try out, she had this to say, “When the Jantastic All-Star tournament made its debut last year, it left an indelible impression on me – I thought, ‘I HAVE to play in that next year.’ That thought lingered in the back of my mind for the rest of the year – during training, scrimmages, and bouts – it was always there.” We then inquired what Hartlyn was most looking forward to at Jantastic 2016. Slamurai is an icon at the Derby Dolls and this will be her second year playing in Jantastic. We wanted to know what she thought as January closely approaches. 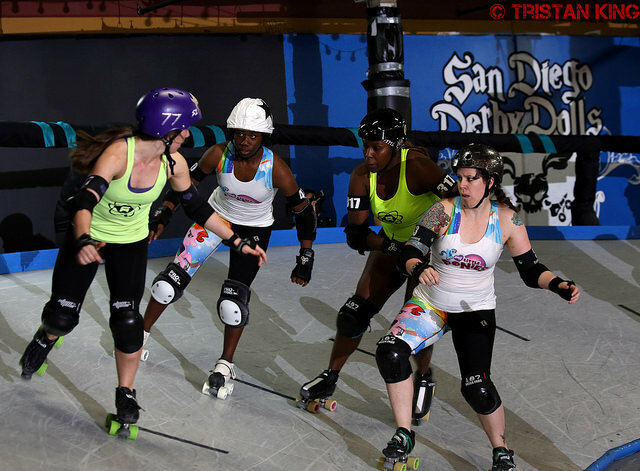 You can look forward to seeing these amazing ladies skate in Jantastic 2016, which will take place at the San Diego Derby Dolls Doll House located in Downtown San Diego on January 16th and 17th. Also, stay tuned for more skater testimonies, behind the scenes interviews with some of the Jantastic stars and details on what to expect at the exciting event!